Groups of dietary supplement industry members brought nutrition to Capitol Hill, visiting many key Congressional member offices to discuss hot button issues, including industry’s approach nutrient deserts and the latest sports supplement adulterant. The Industry Day on the Hill, a longtime Council for Responsible Nutrition (CRN) event, was co-hosted this year by the American Herbal Products Association (AHPA). A group of nearly 80 natural products industry members visited Capitol Hill in Washington DC to discuss important dietary supplement topics with more than 75 Congressional member offices. The Day on the Hill, hosted by the Council for Responsible Nutrition (CRN) and the American Herbal Products Association (AHPA), was punctuated by a Congressional Dietary Supplement Caucus briefing on “hidden hunger,” lack of adequate nutrition from food. “CRN worked closely with the American Herbal Products Association to ensure that we provided a meaningful day of legislative and civic engagement with Representatives, Senators and their staff to the companies that participated,” said Mike Greene, senior vice president of government relations for CRN. The Day on the Hill featured talks from key members of the House and Senate, including Sens. Orrin Hatch (R-Utah) and Martin Heinrich (D-New Mexico), as well as Reps. Mike Rogers (R-Alabama), Frank Pallone (D-New Jersey) and Randall Hultgren (R-Illinois). Hungary’s U.S. ambassador, László Szabó, also addressed attendees. Rep. Mike Rogers (R-AL), speaks to attendees of CRN and AHPA’s Day on the Hill 2018. “Many of the members of Congress who spoke to Day on the Hill participants represent all shades of the political spectrum, underscoring the importance of health and wellness associated with dietary supplement and functional food products,” Greene said. Jeffrey Blumberg, Ph.D., professor, Friedman School of Nutrition Science and Policy, and senior scientist, Jean Mayer, USDA Human Nutrition Research Center on Aging at Tufts University, explained the modern diet often fails to deliver essential nutrients. 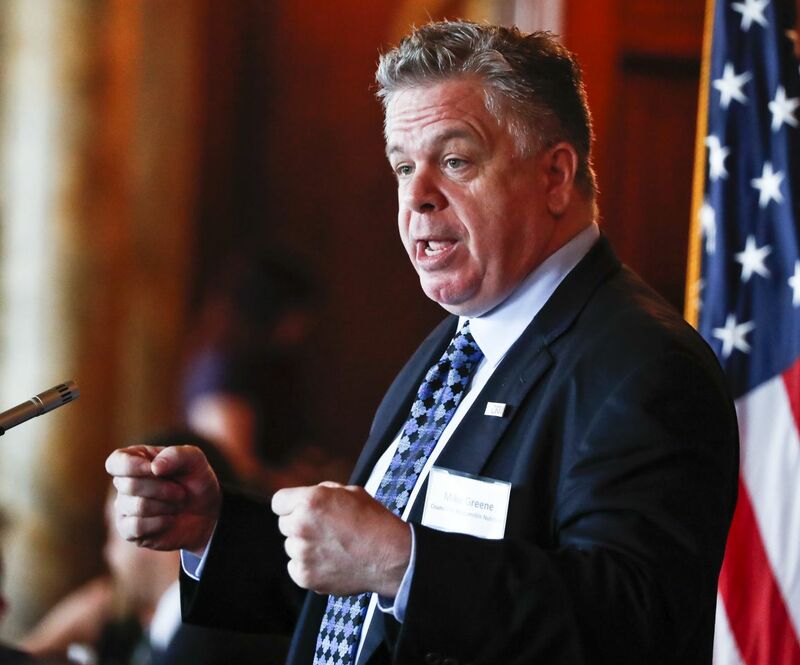 “The current food system is high in calories, but low in nutritional value, making it nearly impossible to get all the nutrients you need from food alone,” he told the supplement caucus, a bipartisan forum with around 45 members combined from both the House and Senate. Hidden hunger was one of the key talking points for Day on the Hill meetings with Congressional staff and members. House Bill H.R.3841, introduced by Reps. Mike Rogers (R-Alabama), Kyrsten Sinema (D-Arizona), Mia Love (R-Utah) and Tony Cárdenas (D-California), would allow multivitamin purchases under the Supplemental Nutrition Assistance Program (SNAP), formerly known as the Food Stamp program. Industry participants pointed out that the bill covers only multivitamins, not the full range of dietary supplements, and including multivitamins in SNAP would not raise the program’s costs. Instead it provides choice to those who rely on SNAP for nutrition. The goal is to have the legislative amendment included as an amendment in the Farm Bill. However, the full range of dietary supplements is on the table for the latest legislative effort from Sen. Orrin Hatch (R-Utah), which would allow the use of Health Saving Account (HSA) funds to pay for dietary supplements. 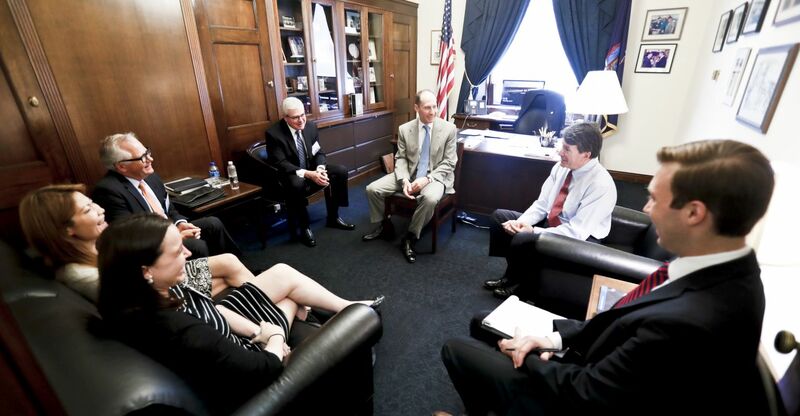 Industry talked to Congressional offices about Hatch’s Health Savings Act bill S.403 and its companion bill H.R.1175 in the House, introduced by Rep. Erik Paulsen (R-Minnesota). Another Hatch bill in the spotlight during the meetings was the SARMs Control Act S.2742, which would stop the use of SARMs (selective androgen receptor modulators) in dietary supplements. In a position statement made available to Congressional staff in the Day on the Hill meetings, CRN noted unscrupulous manufacturers are illegally using SARMs in bodybuilding supplements, often with improper or misleading labeling, and positive doping tests have increased in the international athletic community—SARMs are prohibited by the World Anti-Doping Agency (WADA). Rep. John Faso (R-NY), meets with CRN and AHPA members during Day on the Hill 2018. “The SARMs Control Act gave the Drug Enforcement Agency (DEA) additional authority to identify and quickly respond to SARMs substances being illegally marketed as dietary supplements,” CRN said. 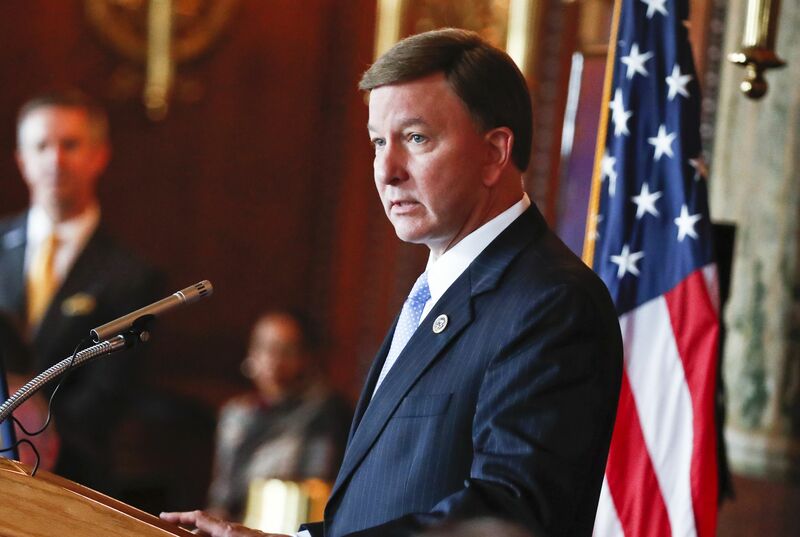 The legislation would amend the Steroid Control Act and place SARMs—at least nine versions, including the popular ostarine—on the Schedule III Controlled Substances list. It would also amend the Food, Drug and Cosmetic Act (FDCA) to give USDA the power to notify DEA of dietary supplements potentially containing SARMs. Besides several “asks” relative to current legislation, Day on the Hill participants took the opportunity to quantify the supplement industry’s economic impact and assure Congressional offices the supplement industry is regulated. They outlined industry’s direct, indirect and induced impact on jobs, wages and output. The total economic impact included more than 230,000 jobs, US$38.3 billion in wages and $121.6 billion in output. Further, the industry accounts for more than $16.6 billion annually in combined federal, state and state sales taxes. On the regulatory side, participants highlighted the Dietary Supplement Health and Education Act (DSHEA) of 1994, dietary supplement good manufacturing practices (GMPs) and several industry self-regulatory efforts, including CRN’s Supplement OWL dietary supplement product registry and AHPA’s good agricultural, collection and manufacturing practices for botanical ingredients. While discussing federal oversight, industry participants noted FDA’s former Division of Dietary Supplement was elevated in status to the Office of Dietary Supplement Programs (ODSP) in 2015, but funding for this important regulatory body did not similarly elevate. According to Nutrition Business Journal, the supplement industry was estimated at around $4 billion in annual sales, but has since grown to more than $43 billion in 2017. In contrast, ODSP receives only around $4.6 million per year to fund its oversight and regulatory activities. Acknowledging the current appropriations window is nearly closed, Day on the Hill participants talked to congressional staff about the goal to double this annual funding amount via incremental funding increases over several years, starting in the next appropriation cycle.